Snap(shot) Judgements are posts that will appear with no real regularity. It’s primarily a way for us to get thoughts and photos up as soon as possible, especially when we have no plan to write a feature-length column on the subject. 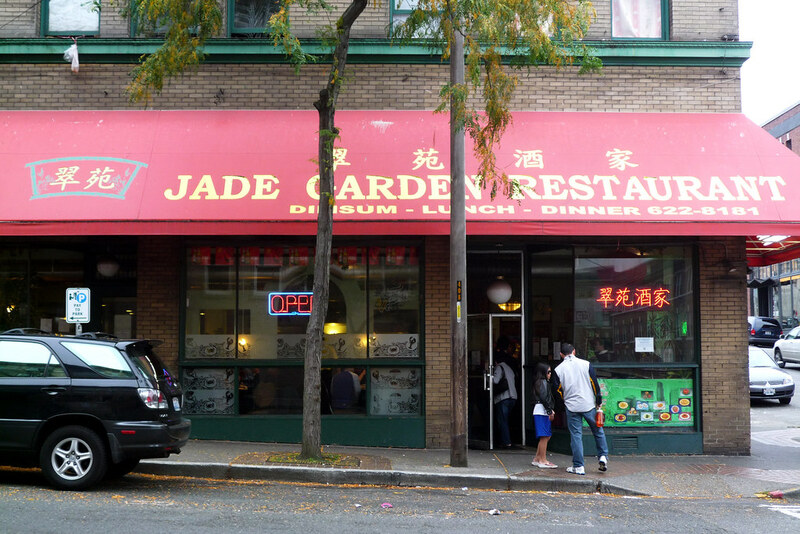 Here, Gary starts his last day in Seattle the right way with some dim sum at Jade Garden. Growing up in New York City, most Sunday mornings meant one thing – dim sum. Ever since I went off to college, my dim sum frequency has waned to maybe once a month, twice every three months. It’s a shame because it’s such a fun meal (or stressful, if you’re with the grandparents). The way the cart ladies walk around shouting their wares isn’t unlike hearing a carnival barker exhorting you to play their games or go on their rides. Except, you know, this is a lot tastier. So even though dim sum really is more of group thing – everything does come in twos, threes, or fours – I decided, on my final day there, to see what Seattle had to offer in the way of dim sum. Great post! Actually just warmed up some Thai as leftovers. Like the webpage, keep it up. @StudentChef3 Thanks for reading! Follow the blog on Twitter – @foodiecallynyc – or myself – @gwong.